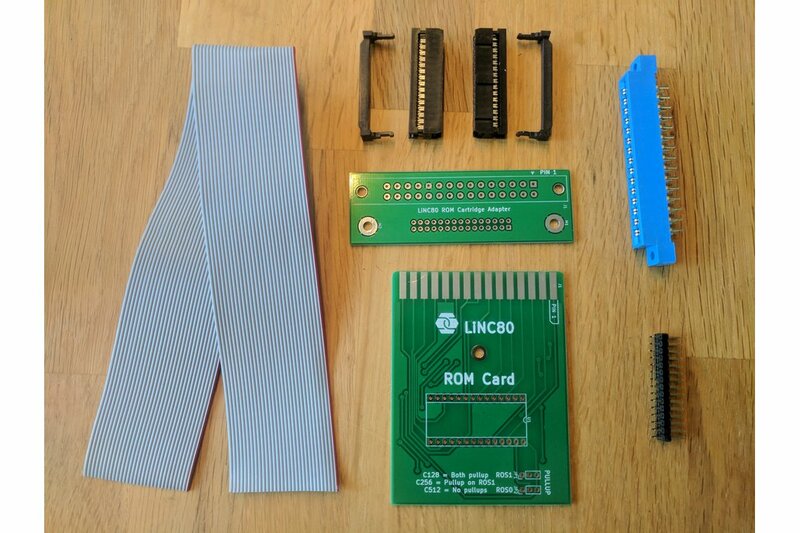 This is a kit adding a card-edge connector to LiNC80 SBC1, allowing the use of ROM Cards to easily and quickly swap ROM content. 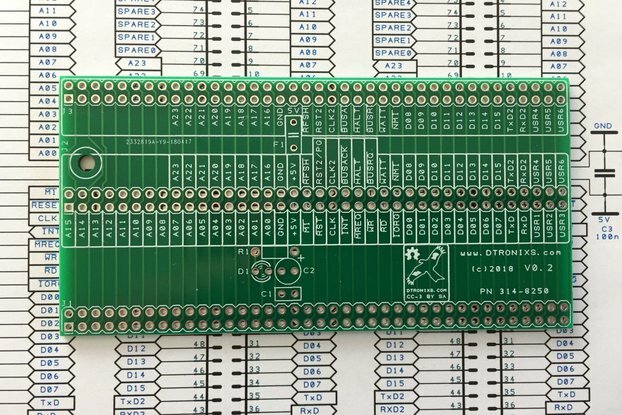 As noted on the silk-screen: select (or solder-bridge) jumper positions according to the size of ROM chip installed on the card. When installing a 4k, 8k or 16k ROM chip (C128 and smaller), both jumpers must be set to PULLUP for proper operation. 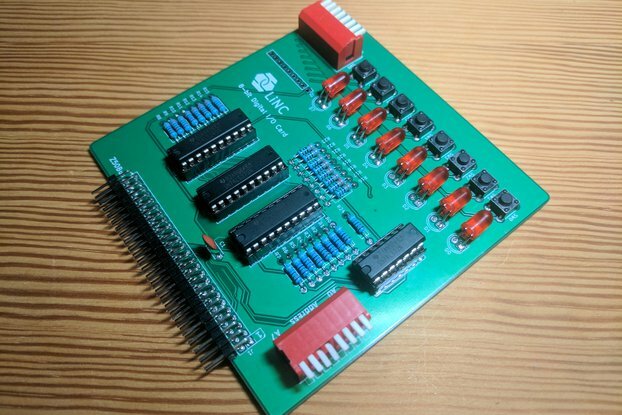 If using a 32k ROM chip (C256), the ROS1 jumper needs to be set to PULLUP to correctly connect the Vpp pin to VCC. 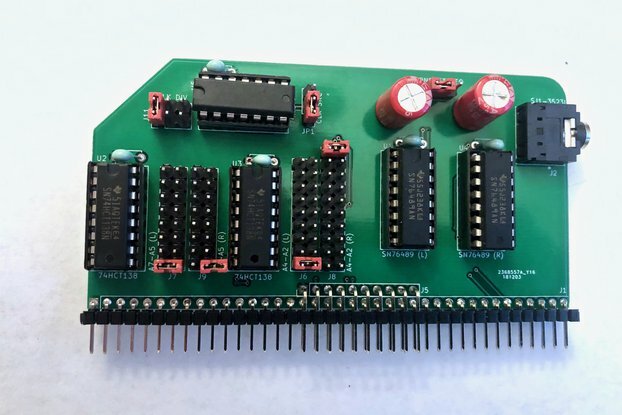 For a 64kByte C512 chip, it is recommended to use the ROSx-position on both jumpers. For more information about the ROS-signals, refer to the configuration register documentation in the LiNC80 SBC1 onboard devices guide.